The all-in-one kit for developers! 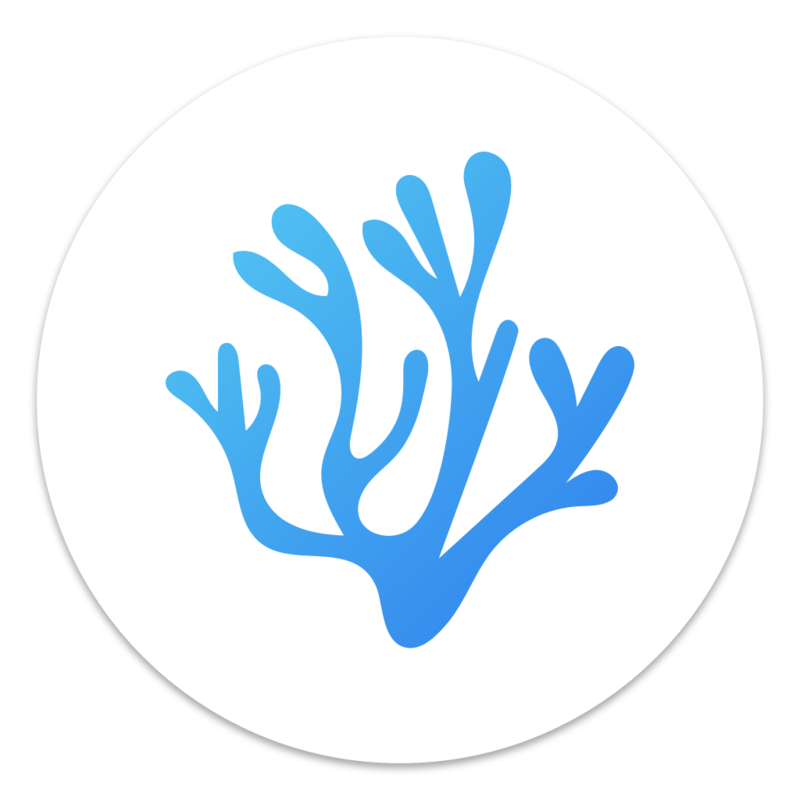 VSCodium is available on windows, Mac OS and Linux. It natively supports a wide range of languages, and advanced support can be added through its powerful extensions. If you want to build from source yourself, head over to Microsoft’s vscode repo and follow their instructions. This repo exists to make it easier to get the latest version of MIT-licensed VSCode. For more information on getting all the telemetry disabled and tips for migrating from Visual Studio Code to VSCodium, have a look at this Docs page. Note: if you see “App can’t be opened because it is from an unidentified developer” when opening VSCodium the first time, you can right-click the application and choose Open. This should only be required the first time opening on a Mac. VSCodium is pre-installed in Parrot OS. 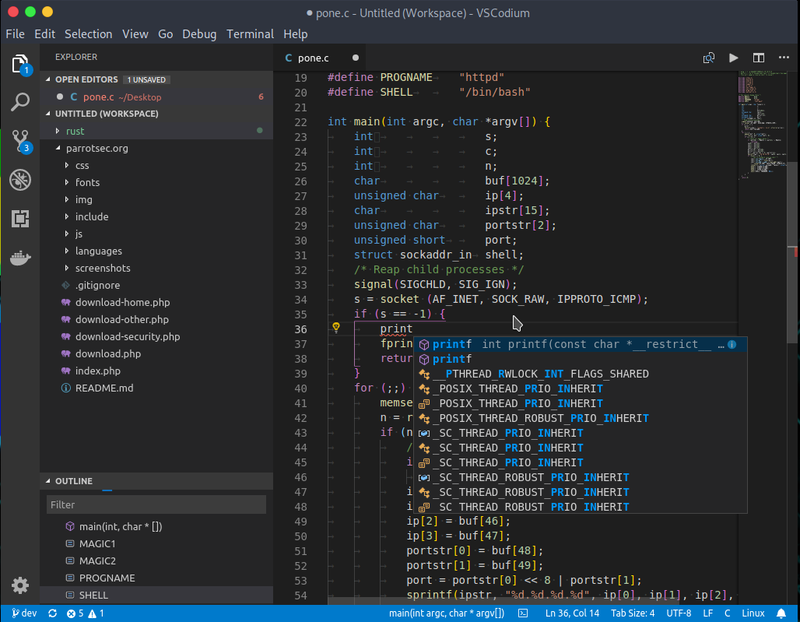 VSCodium is not available as a Flatpak app, but @amtlib-dot-dll has done significant work to package up the open source build of Visual Studio Code without telemetry, very similarly to VSCodium. That package is available here and the build repo is here. VSCodium (and a freshly cloned copy of vscode built from source) stores its extension files in ~/.vscode-oss. So if you currently have Visual Studio Code installed, your extensions won’t automatically populate. You can reinstall your extensions from the Marketplace in VSCodium, or copy the extensions from ~/.vscode/extensions to ~/.vscode-oss/extensions. How do I press and hold a key and have it repeat in VSCodium (Mac)? This is a common question for Visual Studio Code and the procedure is slightly different in VSCodium because the defaults path is different. How do I open VSCodium from the terminal? Choose Shell command: Install 'vscodium' command in PATH. Feel free to alias this command to something easier to type in your shell profile (e.g. alias code=vscodium).